This is a question most of us ask, but few of us have the answer. It seems like it’s harder to get rich than it used to be. In a survey by MSN Money, 63% of Americans say it is not too likely or not at all likely they'll get rich. Chuck was able to gain financial freedom. Because he had such success in wealth creation, he started teaching others how to make money in the stock and options trading market. If you’re ready to make money now, call Chuck Hughes today at (866) 661-5664 or click below to learn more about his wealth trading strategy group. It’s easier to increase wealth than many people believe it to be. There are three simple steps that should be followed in order to increase wealth. Set aside a designated amount of money every month for investing. Even if it is a small amount, get in the habit of setting aside a portion of your income. You can start today! Investing money in the stock market can be extremely stressful. If you don’t know exactly what you’re doing, you can increase your risk for loss. Instead of investing blindly, utilize a wealth trading strategy group. Wealth trading strategy groups can increase your potential for profit and decrease your risk of loss. Investing money in the stock market is a trial and error process. Chuck Hughes provides wealth trading strategies that can help you perfect your strategies for wealth. Because your money is more important to you than to anyone else, you should be the one trading stock and options. Don’t hand your money over to an investment management service; keep it. 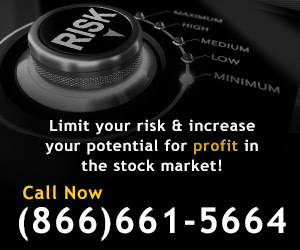 But use a stock trading strategies company like Chuck Hughes to provide you with stock and options trading strategies. By doing this, you’ll benefit from receiving stock trading tips, however, you’ll retain full control over your money and your investments. By maintaining control of your money, you’ll be the one to profit entirely from your investments. If you’re ready to start trading in the stock market in order to create wealth, call Chuck Hughes at (866) 661-5664 or of Chuck Hughes’ wealth trading strategies. The sooner you start trading in the stock market, the sooner you can increase your potential for wealth. What is a Wealth Trading Strategy? A wealth trading strategy can provide different services in order to help you create wealth. Chuck Hughes’ wealth trading strategy provides stock and options recommendations to help you create wealth through the stock market. Wealth trading strategies historically were only used by extremely wealthy people. Generally, families with large fortunes would acquire a private investment advisor in order to handle their finances and stock and option investing decisions. However, nowadays many people use public stock trading strategies to provide stock market recommendations and strategy so that they might be able to grow their wealth. Call Chuck Hughes today at (866) 661-5664 to learn how to successfully invest in the stock and options market, or join our mailing list to learn about more opportunities to create wealth in your future. Why is it Important to Have a Wealth Trading Strategy? Everybody is interested in growing their personal wealth, but not many people take the action to become wealthy. If you’re interested in investing your money wisely and in managing your finances efficiently in order to increase your wealth, you can increase your chance for wealth and decrease your level of risk by getting strategic recommendations from a wealth trading strategy. How Do You Choose a Wealth Trading Strategy? When choosing between wealth trading strategies, it’s important to research different firms. A trustworthy wealth trading strategy group will be experienced. They should be able to provide their clients with past records and evidence of successful trades in the stock market. Chuck Hughes is a professional options and stock trader. He’s been trading options and stocks for almost 30 years and he’s extremely successful. He is a 10 times Trading Champion; that’s more than anyone else in Champion Trading history. 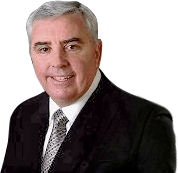 Chuck has been providing professional wealth trading strategies for almost 30 years. His wealth trading strategy group is a trusted resource for receiving stock trading strategies and options trade recommendations. Check out Chuck Hughes’ stock trading profits. With support from Chuck Hughes’ wealth trading strategy, you’ll be able to successfully manage your stock and options trades in order to grow wealth at every opportunity.